Yes, yes it has. However, things are back on track around here, no I didn't forget about writing about the things I care about, or stuff I'm interested in. Life has just taken some weird twists and required a little more sorting than I'd normally like to deal with, but here we are. First thing's first, proud to say that myself and the team here will be back at Anthrocon once again to cover all of the chaos first hand in just over a month. Wow, scary to think about, but we have some really interesting things that I hope we can get from that one. One of them involves Floor Wars, which I never miss, and definitely going to want to check out that finished product. Anthrocon is a weird beast, and many have said it's like a "Mecca" type of convention, but ya know what? I don't think that's true. I know so many that go every year, and it just doesn't get tired. No clue why that it is, but for me it's true at least. 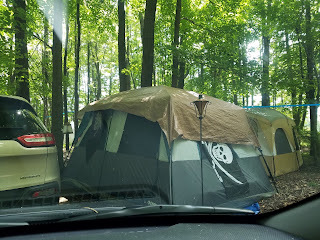 Also, I'll be returning to Pennsic War again this year too. Not only is it a recharge for me, but I'll be taking a crapton more pictures and hopefully some of them I can actually share with folks. Last year, I didn't take that many. Why? Well, it was something of a return for me, after 7 years, I was just reveling in being home again. 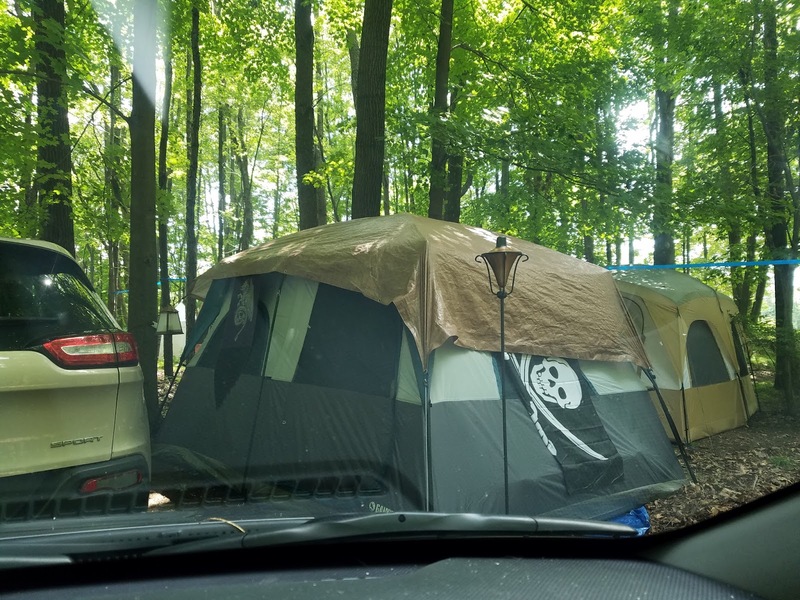 This year, oh yeah...I'll get some good stuff that shows off the weird and wonderful that is Pennsic, don't you worry. I like my little weird adopted, and oft fucked up family there. Then again, what family isn't, right? Speaking of pictures and other things, looks like I'm going to be hooking up with the team from the Dark Ride Project this summer as well. Why, you ask? Simple, they're coming stateside to capture some amazing dark rides right here in my home state of Pennsylvania and the opportunity to tag along is too much to pass up. I'm way too much of a dark ride fangirl to not take the chance to see this in action. Seriously, go look at their site, what they're doing is amazing and definitely should be supported as there's just not that many of these classics still around. Hmmm, let's see, what else? Oh! Right, there is the matter of Haunt Tour 2017. Yes, it's coming back for another go. Last year was a bit of a disaster, I admit, but there was a lot going on and due to some outside situations, I had to cancel things midway through. Not this time though...2017 is gonna bring a bit of coast to coast coverage. Yep, that's right, I'll be headed to California to check out a few haunts out there while also covering TwitchCon. A little crazy, but so be it. Besides, crazy is how things kind of work around here, right? I think that's about all the updates on the year go. I'm still looking into other conventions to go to, or drop in on, and of course I'll be hitting up various theme parks and other stuff along the way as well. Why? Well, I didn't get nearly enough of those in last year and that really bugs me. Gonna fix that, big time. I'm also getting back into the swing of picking up on haunt news from across the US, and beyond, too. Hopefully will be getting my thoughts on all the announcements as they come out from haunted attractions big and small! And that about wraps things up here, but stay tuned as updates are going to start flying starting this week and ya just never really know what I'm going I'm gonna talk about, or just what I'm gonna say.